Player 1 stands in athletic stance in centre of 4x4 square. 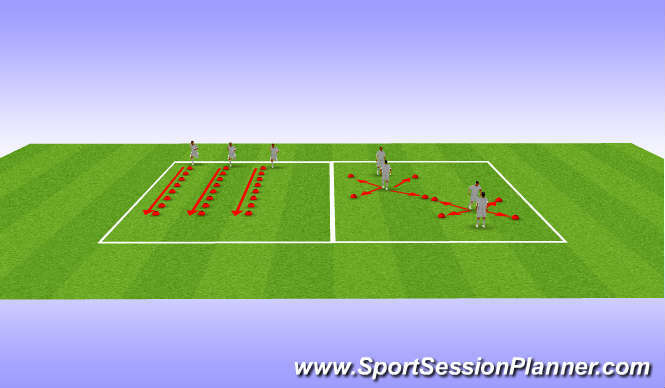 Player 2 calls out front left, front right, back left, back right cones and player 1 must react to tap cone and return to athletic stance in centre. Movement should be maximal and players should maintain good 45 degree mechanics when accelerating round grip. Players perform 10 seconds before swapping over. (Rest ratio of 1:4) for 3 sets each.